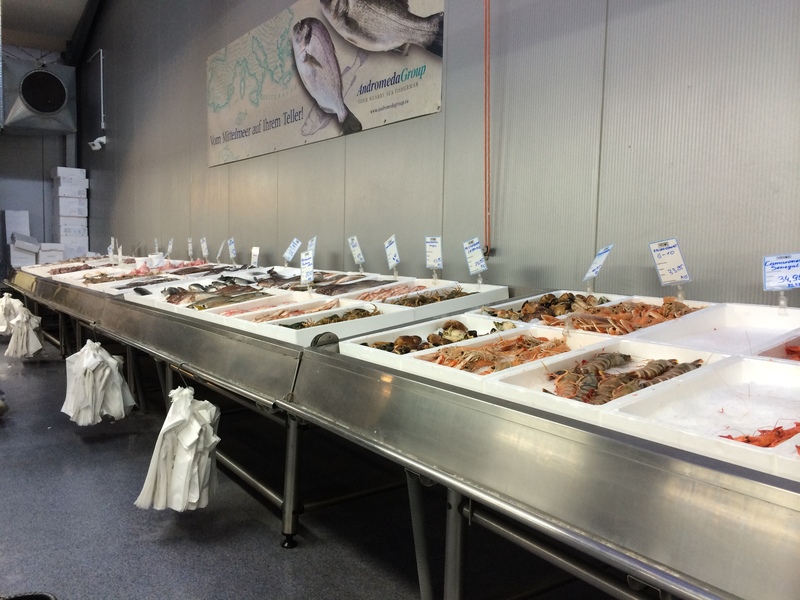 Venos is the place to go if you like to experiment with different types of fish. The shop is actually a specialist supplier for Italian restaurants and is more of a factory outlet for bulk buyers, but they are also open to the general public. Located not far from Frischeparadies, and also not easy to get to from the city without a car, Venos is in a small industrial estate and looks like a simple warehouse from the outside full of loads of interesting Italian foods. Inside is a basic warehouse style approach to shopping with big open shelves. There is a good selection of everything that Italian restaurants might need, like wines, spirits, napkins, pastas, etc. And in a room at the back is a really good selection of fish and seafood. Much of it still alive. The only down side is that they don’t clean and filet the fish as at a regular market. we are a company managing and owning two high profile restaurants in Slovakia. We have had a succesfull business for more than ten years. We are focused on seafood and fish, especially wild-caught. 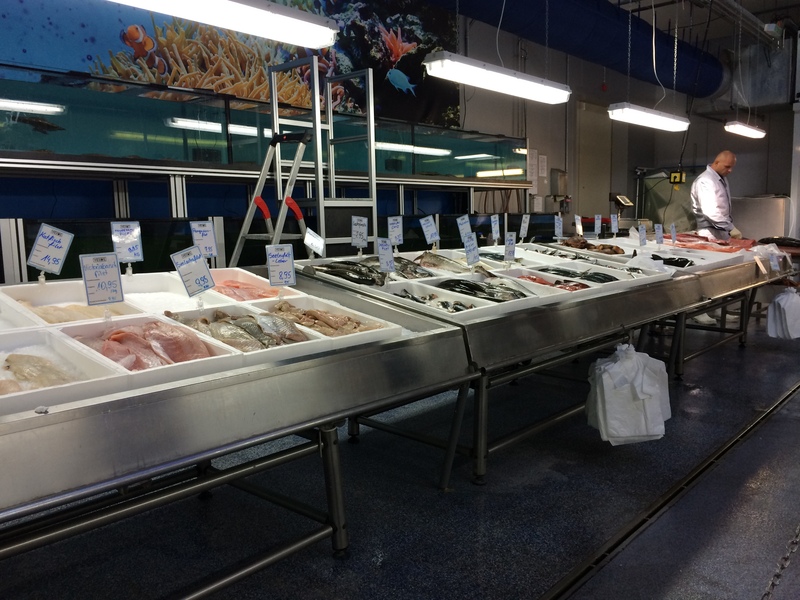 We are exploring the possibility to buy fish directly from your place. Please, would you be so kind and send us your current price list of your products-fish and seafood? 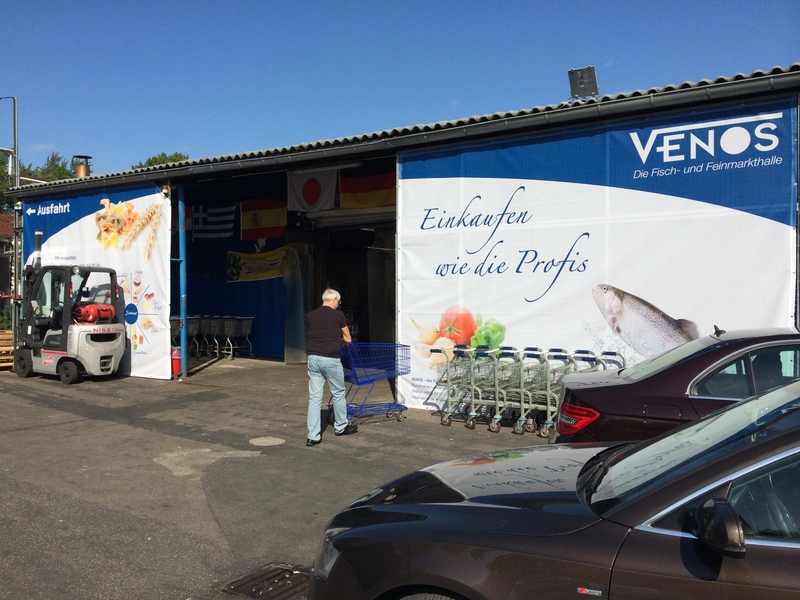 Do you sell/deliver fish also outside Germany? If so, please would you be so kind to give us name or contact of transport company? We would really appreciate your help. Dear Stanislav, thanks for your message. Unfortunately I am not directly connected with Venos. I recommend contacting them through their website and I am sure that they will be happy to help.